One of the finest foundations for a dynamic life is to have your sense of identity and legitimacy established in the womb. Playing the blessings on these CDs for your child in the womb will make an enormous impact at the core of his or her being. You can build peace into your child's core while he or she is still in the womb and it will greatly prepare them for the inevitable turbulence of the world. These sixteen blessings address four distinct areas of vital peace. 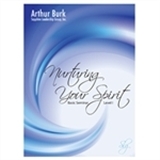 The book "Blessing Your Spirit" is now available in audio with Arthur Burk addressing each of the blessings to a "Beloved Son." Regardless of age, there is healing and growth when someone with a father's spirit addresses your spirit without condemnation. Read these blessings to your family, friends, or yourself. 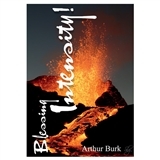 These are daily blessings designed to legitimize your spirit and to speak to your spirit about the Father. Many people have been deeply impacted by them. 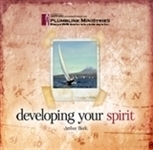 This is a gender neutral recording of the book "Blessing Your Spirit." 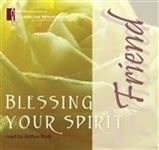 It is read by Arthur Burk, and each blessing is addressed to a "Friend." If you are a woman who did not receive a father's blessing, then this audio recording will water a dry spot. 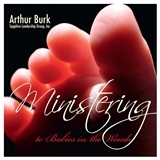 Arthur Burk reads the book "Blessing Your Spirit" and addresses each blessing to a "Precious Daughter." Your spirit is a powerhouse of potential, but that potential needs to be developed with fierce intentionality. Consider this album a condensed version of the genome of your spirit. Many of the tools used for deliverance are ineffective in the brain. This is a new set of tools that focuses on the role of the human spirit in partnership with the Holy Spirit. 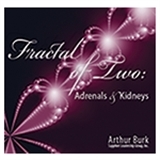 The adrenals and kidneys are spiritually dynamic parts of your physical body. Their spiritual vitality will determine not only their physical well being but that of other body systems as well. There are thousands of children in the world today who are demonstrably different because their parents used these tools to nurture their spirits while they were still in the womb. Many adults have also used these tools in their own lives. The tools work! 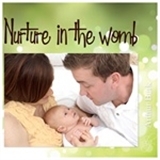 This is an enormous update on the album “Ministering to Babies in the Womb.” There is much new material which will serve parents of all ages. The human spirit was designed by God to play a central role in your life. Learn the vital skill of legitimizing and nurturing your spirit through this step by step process. 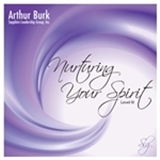 This is a video recording of the eight hour seminar presented by Arthur Burk. The human spirit was designed by God to play a central role in your life. Learn the vital skill of legitimizing and nurturing your spirit through this step by step process. This is an audio recording of the eight hour seminar. This was a wide ranging seminar, but the primary focus was on treatment of autism and working with the human spirit in the context of SRA/DID. There were also many tools provided for unpacking the treasures of the seven portions of your spirit. 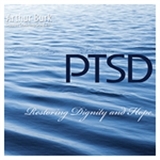 Post Traumatic Stress Disorder is generally associated with major trauma. Healing however, involves the spirit, soul AND brain, not just working on the memory of the trauma. The sound of children playing joyously is one of the most delightful parts of parenting. Unfortunately, it does not happen automatically. 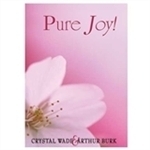 This book provides parenting tips and blessings of joy which will impact your children's spirit and soul. Hierdie boek is ‘n reeks seëninge wat ontwerp is om jou gees te laat groei. Daar is 40 seëninge uit die perspektief van jou Vader wat jou identiteit en bestaansreg van nader beskou en 'n verdere 21 wat vloei uit die name van God. 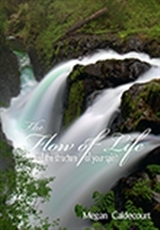 The flow of life in and out of your spirit can be affected by the condition of the structures in your spirit, in the same way that your breathing is affected by the condition of your lungs. This teaching explores these dynamics.